Can-Am ATVs and side-by-side vehicles are the embodiment of BRP’s ability to redefine any market it takes on. In the late 1990s, our designers and engineers were the first to equip ATVs with the TTI rear suspension, offering superior comfort in any condition thanks to the unique placement of the two independent pivot points. In 2002, they were also the first to offer a manufacturer-approved ATV for two people. In combining maximum power, handling, and traction, Can-Am ATVs are the choice of enthusiasts and professionals – who drive them right to the podium. In 2010, we launched the Can-Am Commander, the most versatile side-by-side in the industry, with a powerful 85-hp Rotax® 1000 V-Twin engine, an industry exclusive dual-level cargo box, and other unique features that make Can-Am the brand with no compromise. With Can-Am ATVs, side-by-side vehicles, and roadsters, BRP is carrying on a long tradition of conquests. 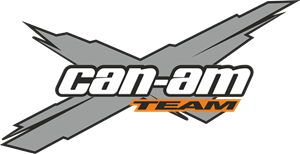 More than 30 years ago, the world discovered the Can-Am brand through revolutionary motocross bikes. BRP has since withdrawn from that market, but the Can-Am legend and winning spirit live on – with passion and exhilaration.